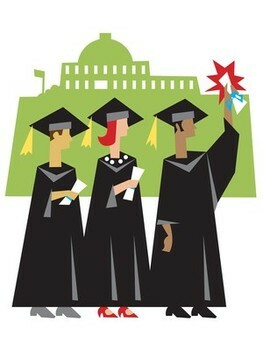 In North America, the Universities offer you graduation/ post graduation programmes; whereas colleges offer you diplomas. In order to attract many Indian students, the names of these diplomas are really impressive, but their value may not even be worth the paper on which the diploma certificate is printed. Do not Get Carried Away by the Agents. Most sensible advice, but least taken by any one immigrating to North America. The agents operating in India are there to make money and will promise you the moon. Please do not be carried away by their guarantees for a sure shot job – Trump or Trudeau cannot guarantee it – so how can an agent in India. First Year – Use it to Settle Down and Learn to Communicate. Indian students are not familiar with the social, cultural and education system of North America. Use the first year to settle down and learn to live and talk the way the locals do. “When in Rome, do what Romans do”. Second year onwards, you can take up part time work. Sufficient Funds. To avoid working in the first year and to amalgamate with the society, $35,000 for the first year is recommended. This includes $15,000 for the tuition fee and the rest for living expenses. Equip Well. Get your entire wardrobe based on the fashions prevalent in North America. In case you wear clothes the Indian way, you may get branded as a Fresh Off the Boat (FOB). Make sure that you develop the habit of using perfumes and deodorants – your body odour is much worse than what you perceive it to be. Heard many complaining that the person sitting next to them walked away – its not because of any racial bias, but because of your body odour. English is not Your Mother Tongue. Many (including me), prior to immigration presumed that one’s standard of English is pretty high and one had a very impressive communication technique. In North America, written and spoken English has its own format and methodology. Letter writing follows a different format (refer to it on internet). Communication Skills. Written and oral communication skills are given lot of importance in the high school curriculum, compared to that of India. Most of the subjects are taught with application aspects in mind and is not ‘cramming’. An Indian student needs to compete with the local students (majority are much smarter than what you think you are). To make a test, write a letter to the editor or a small column or a snippet and try and get it published in any newspaper or magazine. In case you fail to do it, your written English needs improvement. Try your hand at a PowerPoint presentation for five minutes and see how much you can impress your friends. The course you are going to undertake will involve a lot of written and oral presentations. Be Punctual. You got to be on time for the class, for your submissions etc. Otherwise you are sure to lose marks. Ensure on-time submission, even if the work may be incomplete and may not be of the standard you wished – this will fetch you some marks than getting none. Students here are trained in this aspect from high school. Be Prepared for the Classes. Unlike in India, the first class does not begin with introduction, but with the first chapter. Prepare and research based on the training programme given. Master Statistics. MS Word, PowerPoint and Excel.In case one can master these, you will have a smoother learning. Improve your keyboarding skills. Take all Tests. If the university wants foreign applicants to demonstrate proficiency in English language by taking some test, such as TOEFL, comply with the conditions. Some universities may ask for GRE, GMAT, or LSAT tests. Ensure that you qualify in them prior to leaving India – its going to be pretty expensive in both time and money. These tests are an excellent opportunity for students to get a taste of the foreign universities. By demonstrating proficiency in these tests applicants can have their candidacy established more firmly because the university will have more confidence in your abilities after learning about your good scores in these tests. Getting Documentation Done. Get all documentations done prior to leaving India (else you will lose time and money). Most admission committees have not heard of the university from where you have graduated. Even if one is the top student in one’s graduating class, the admission committees have no way of finding an equivalence of your performance. Most universities want the university from where you studied to send them the transcripts of your marks and sometimes the syllabus followed. You can imagine how difficult this can be (I had a tough time getting my wife’s transcripts sent). Remember, Bachelors is 16 years of Education. In North America, Europe, and Australia, a Bachelors degree is awarded after 16-years of formal education. You may be better off completing a post-graduate degree in India (16 years of formal education) before applying for a graduate degree abroad. Know the Deadlines. Most graduate programs abroad begin in September. Often admission deadlines for foreign students are in March or April. Applicants should ensure that complete applications with reference letters, transcripts, and other supporting materials reach the university well before the deadline. Applying sooner always increases one’s chances for admissions. Search for the University that wants You. While you as an aspiring student are nervously applying to universities abroad, administrators at many universities are also nervously waiting for applications to arrive. Remember not every department in every foreign university is fortunate to have thousands of applications. Sometimes some departments in very well-known universities are struggling to attract graduate students and hence are keen to greet all applicants with interest. The challenge for the applicant is to try to determine what departments or universities are eager to have additional students. Avoid applying to Ivy League universities, such as Stanford, Harvard, and other similar universities, which attract applications from the top talent in not just the United States, but from all over the world. There is no shortage of decent, not necessarily top-quality, universities in the Western world. In the United States alone there are roughly 5,500 universities or institutes of higher learning where approximately 14 million students are currently enrolled. As a smart aspiring student, you should be able to use the Internet effectively to develop a list of second-tier universities that offer specializations in your interest. From that list of prospects, you should initiate a dialogue with admission officers to determine information about acceptance rates. If the department of your interest accepts only 5% of the applicants, you may want to expand your search to other institutions where your odds have to be much higher than mere 5%. Know who to Contact at the University. Never send the same letter of interest to every professor in the same department. If you send an email to every listed faculty member on the department’s website expressing your keenness to join their research team, you are most likely not to get a response at all. You should do research to determine who is the right person to receive your inquiry instead of sending mass emails. Wishing all the aspirants of a North American Degree all the best.